About half the countries of the world have declared one or more official languages. The government of Italy officialised Italian only in 1999, and some nations (such as the United States) have never declared official languages at the national level. Other nations have declared non-indigenous official languages. "The Philippines and parts of Africa live with a peculiar cultural paradox. Although the official languages [in Africa] may be French or English, these are not the languages most widely spoken by [the country's] residents." Worldwide, 178 countries have at least one official language, and 101 of these countries recognise more than one language. Many of the world's constitutions mention one or more official or national languages. Some countries use the official language designation to empower indigenous groups by giving them access to the government in their native languages. In countries that do not formally designate an official language, a de facto national language usually evolves. English is the most common official language, with recognized status in 51 countries. Arabic, French, and Spanish are also widely recognized. Around 500 BC, when Darius the Great annexed Mesopotamia to the Persian Empire, he chose a form of the Aramaic language (the so-called Official Aramaic or Imperial Aramaic) as the vehicle for written communication between the different regions of the vast empire with its different peoples and languages. Aramaic script was widely employed from Egypt in the southwest to Bactria and Sogdiana in the northeast. Texts were dictated in the native dialects and written down in Aramaic, and then read out again in the native language at the places they were received. The First Emperor of Qin standardized the written language of China after unifying the country in 221 BC. Classical Chinese would remain the standard written language for the next 2000 years. Standardization of the spoken language received less political attention, and Mandarin developed on an ad hoc basis from the dialects of the various imperial capitals until being officially standardized in the early twentieth century. According to an undated chart by the American pro-English-only organization known as U.S. English, 178 countries have an official language at the national level. Among those, English is the most common with 67 nations giving it official status. French is second with 29 countries, Arabic is third with 26 countries and Spanish is fourth with 19 countries, Portuguese is the official language of 9 countries and German is official in 6. Some countries—like Australia, United Kingdom and the United States—have no official language recognized as such at national level. On the other extreme, Bolivia officially recognizes 37 languages, the most by any country in the world. Second to Bolivia is India with 23 official languages. South Africa is the country with the most official languages, all at equal status to one another, in the world as Bolivia gives primacy to Spanish and India gives primacy to Hindi. The selection of an official language (or no official language) is often contentious. An alternative to having a single official language is "official multilingualism", where a government recognizes multiple official languages. Under this system, all government services are available in all official languages. Each citizen may choose their preferred language when conducting business. Most countries are multilingual and many are officially multilingual. Taiwan, Canada, Philippines, Belgium, Switzerland, and the European Union are examples of official multilingualism. This has been described as controversial and, in some other areas where it has been proposed, the idea has been rejected. It has also been described as necessary for the recognition of different groups or as an advantage for the country in presenting itself to outsiders. Belarusian and Russian have official status in the Republic of Belarus. In accordance with the Constitution Act, 1982 the (federal) Government of Canada gives equal status to English and French as official languages. The Province of New Brunswick is also officially bilingual, as is the Yukon. Nunavut has four official languages. The Northwest Territories has eleven official languages. All provinces, however, offer some necessary services in both English and French. Canadian advocates[which?] of a single official language say it promotes national identity. In Canada, debate has focused on whether the local majority language should be made the exclusive language of public business. In the Canadian province of Quebec, for example, laws restrict the use of the minority English in education, on signs, and in the workplace. According to the Finnish constitution, Finnish and Swedish are the official languages of the republic. Citizens have the right to communicate in either language with government agencies. German is the official language of Germany. However, its minority languages include Sorbian (Upper Sorbian and Lower Sorbian), Romani, Danish and North Frisian, which are officially recognised. Migrant languages like Turkish, Russian and Spanish are widespread, but are not officially recognised languages. Hong Kong has two official languages: English and Chinese. Hong Kong Cantonese is used in daily conversation and Traditional Chinese used to be the common Chinese writing system in Hong Kong. English is considered as second language of most of the Hong Kongers. Since 1997 handover, Hong Kong's written official spoken Chinese language are Cantonese and Mandarin. China's official language is Mandarin and Simplified Chinese which is used as the standard writing system. As time goes by, signage in simplified characters has gained some popularity in a few areas. Some Hong Kong companies may have changed the characters of the signs whilst nearly all Hong Kong people continue to use traditional characters. The Eighth Schedule of the Indian Constitution lists 22 languages, which have been referred to as scheduled languages and given recognition, status and official encouragement. In addition, the Government of India has awarded the distinction of classical language to Tamil, Sanskrit, Kannada, Telugu, Malayalam and Odia. On 19 July 2018, the Knesset passed a basic law under the title Israel as the Nation-State of the Jewish People, which defines Hebrew as "the State's language" and Arabic as a language with "a special status in the State" (article 4). The law further says that it should not be interpreted as compromising the status of the Arabic language in practice prior to the enactment of the basic law, namely, it preserves the status quo and changes the status of Hebrew and Arabic only nominally. All Ordinances, official notices and official forms of the Government and all official notices of local authorities and municipalities in areas to be prescribed by order of the High Commissioner, shall be published in English, Arabic, and Hebrew." "Any provision in the law requiring the use of the English language is repealed." In most public schools, the main teaching language is Hebrew, English is taught as a second language, and most students learn a third language, usually Arabic but not necessarily. Other public schools have Arabic as their main teaching language, and they teach Hebrew as a second language and English as a third one. There are also bilingual schools which aim to teach in both Hebrew and Arabic equally. Some languages other than Hebrew and Arabic, such as English, Russian, Amharic, Yiddish and Ladino enjoy a somewhat special status, but are not considered[by whom?] to be official languages. For instance, at least 5% of the broadcasting time of privately owned TV-channels must be translated into Russian (a similar privilege is granted to Arabic), warnings must be translated to several languages, signs are mostly trilingual (Hebrew, Arabic and English), and the government supports Yiddish and Ladino culture (alongside Hebrew culture and Arabic culture). Russian is the official language of the Russian Federation and in all federal subjects, however many minority languages have official status in the areas where they are indigenous. One type of federal subject in Russia, republics, are allowed to adopt additional official languages alongside Russian in their own constitutions. Republics are often based around particular native ethnic groups, and are often areas where ethnic Russians and native Russian-language speakers are a minority. South Africa has eleven official languages that are mostly indigenous. Due to limited funding, however, the government rarely produces documents in most of the languages. Accusations of mismanagement and corruption have been leveled against the Pan South African Language Board, which is in charge of maintaining the system. The four national languages of Switzerland are German, French, Italian and Romansh. At the federal level German, French and Italian are official languages, the official languages of individual cantons depend on the languages spoken in them. Standard Chinese is the de facto official language of Taiwan. Note that Standard Chinese spoken in Taiwan is slightly different from that in Mainland China, and variant forms of the former are called Taiwanese Mandarin, locally known as 國語. The Hakka Basic Act and the Indigenous Languages Development Act have recognized the Formosan languages and Taiwanese Hakka (variant forms of Hakka Chinese) as national languages of Taiwan. In 2012 debate over adopting Russian as a regional language in Ukraine caused "an all-out brawl in Parliament", protests, and the resignation of a lawmaker in attempt to block the bill. The de facto official language of the United Kingdom is English. In Wales, the Welsh language, spoken by approximately 20% of the population, has limited de jure official status..
English is the de facto national language of the United States. While there is no official language at the federal level, 32 of the 50 U.S. states and all six inhabited U.S. territories have designated English as one, or the only, official language, while courts have found that residents in the 50 states do not have a right to government services in their preferred language. Public debate in the last few decades has focused on whether Spanish should be recognized by the government, or whether all business should be done in English. California allows people to take their driving test in the following 32 languages: Amharic, Arabic, Armenian, Chinese, Croatian, English, French, German, Greek, Hebrew, Hindi, Hmong, Hungarian, Indonesian, Italian, Japanese, Khmer, Korean, Laotian, Persian, Polish, Portuguese, Punjabi, Romanian, Russian, Samoan, Spanish, Tagalog/Filipino, Thai, Tongan, Turkish, and Vietnamese. Sometimes an official language definition can be motivated more by national identity than by linguistic concerns. When Yugoslavia dissolved in 1991, the country had four official languages—Serbo-Croatian, Slovene, Albanian and Macedonian. Serbo-Croatian was used as a lingua franca for mutual understanding and was also the language of the military. When Croatia declared independence (1991) it defined its official language as Croatian, and Serbia likewise defined[when?] its official language as Serbian. Bosnia-Herzegovina defined three official languages: Bosnian, Croatian, and Serbian. From the linguistic point of view, the different names refer to national varieties of the same language, which is known under the appellation of Serbo-Croatian. It is said by some[by whom?] that the Bosnian government chose to define three languages to reinforce ethnic differences and keep the country divided. The language used in Montenegro, traditionally considered a dialect of Serbian, became standardized as the Montenegrin language upon Montenegro's declaration (2006) of independence. ^ The Status of Languages in Puerto Rico. Luis Muñiz-Arguelles. University of Puerto Rico. 1986. Page 466. Retrieved 23 November 2012. ^ "Legge 15 Dicembre 1999, n. 482 "Norme in materia di tutela delle minoranze linguistiche storiche" pubblicata nella Gazzetta Ufficiale n. 297 del 20 dicembre 1999". Italian Parliament. Archived from the original on 12 May 2015. Retrieved 2 December 2014. ^ "Official American". PBS.org. MACNEIL/LEHRER PRODUCTIONS. Retrieved 25 April 2018. ^ "Read about "Official or national languages" on Constitute". Retrieved 2016-03-28. ^ "L'aménagement linguistique dans le monde: page d'accueil". www.axl.cefan.ulaval.ca. Retrieved 2016-03-28. ^ endoglossic and exoglossic on OxfordDictionaries.com. ^ electricpulp.com. "ARAMAIC – Encyclopaedia Iranica". www.iranicaonline.org. Retrieved 14 April 2018. ^ a b "Chapter 1, Article 6 of the South African Constitution". constitutionalcourt.org.za. Retrieved 18 February 2018. ^ a b "Language in South Africa: An official mess". The Economist. July 5, 2013. Retrieved August 25, 2013. ^ a b c d e Alan Patten (October 2011). "Political Theory and Language Policy" (pdf). Political Theory. 29 (5): 691–715. doi:10.1177/0090591701029005005. Retrieved August 25, 2013. ^ Follen, Charles; Mehring, Frank (2007-01-01). Between Natives and Foreigners: Selected Writings of Karl/Charles Follen (1796-1840). Peter Lang. ISBN 9780820497327. ^ Laycock, David (2011-11-01). Representation and Democratic Theory. UBC Press. ISBN 9780774841009. ^ Martin-Jones, Marilyn; Blackledge, Adrian; Creese, Angela (2012-01-01). The Routledge Handbook of Multilingualism. Routledge. ISBN 9780415496476. ^ Official Languages at the Heart of Our Identity: An overview of the Official Languages Act. Office of the Commissioner of Official Languages. Ottawa, Canada. Retrieved 26 August 2013. ^ "War between Traditional and Simplified". anthony8988. 7 May 2014. ^ "Constitutional Provisions: Official Language Related Part-17 of The Constitution Of India". Department of Official Language, Government of India. Archived from the original on 1 February 2016. Retrieved 1 July 2015. ^ Halbfinger, David M.; Kershner, Isabel (19 July 2018). "Israeli Law Declares the Country the 'Nation-State of the Jewish People'". New York Times. Retrieved 2018-07-24. ^ The Palestine Gazette, No. 898 of 29 June 1939, Supplement 2, pp. 464–465. ^ Law and Administration Ordinance No 1 of 5708—1948, clause 15(b). Official Gazette No. 1 of 5th Iyar, 5708; as per authorised translation in Laws of the State of Israel, Vol. I (1948) p. 10. ^ New Zealand Sign Language Act 2006. New Zealand Legislation. Retrieved 24 July 2013. ^ NZ Sign Language to be third official language. Ruth Dyson. 2 April 2006. Retrieved 24 July 2013. ^ Xaba, Vusi (2 September 2011). "Language board to be probed". SowetanLive.co.za. Retrieved 28 February 2018. ^ "客家基本法" [Hakka Basic Act]. Act of 31 January 2018. ^ "原住民族語言發展法" [Indigenous Languages Development Act]. Act of 14 June 2017. ^ David M. Herszenhorn (July 4, 2012). "Ukrainian Official Quits to Protest Russian-Language Bill". New York Times. Retrieved August 26, 2013. ^ a b James M. Inhofe; Cecilia Muñoz. "Should English be declared America's national language?". The New York Times upfront. Scholastic. Retrieved August 25, 2013. ^ "Available Languages". California DMV. Retrieved November 26, 2014. ^ "New York State Voter Registration Form" (PDF). New York State Board of Elections. ^ "Why Is Official English Necessary?". U.S. English. Archived from the original on June 7, 2013. Retrieved August 26, 2013. ^ James Crawford. "Language Freedom and Restriction: A Historical Approach to the Official Language Controversy". Effective Language Education Practices and Native Language Survival. pp. 9–22. Retrieved August 26, 2013. ^ Kordić, Snježana (2007). "La langue croate, serbe, bosniaque et monténégrine" [Croatian, Serbian, Bosniakian, and Montenegrin] (PDF). In Madelain, Anne (ed.). Au sud de l'Est. vol. 3 (in French). Paris: Non Lieu. pp. 71–78. ISBN 978-2-35270-036-4. OCLC 182916790. Archived from the original (PDF) on |archive-url= requires |archive-date= (help). ^ Selma Boračić; Ajdin Kamber (December 5, 2011). "Language Politics in Bosnia". Institute for War & Peace Reporting. Retrieved August 26, 2013. The following is a list of territories where English is an official language, that is, a language used in citizen interactions with government officials. 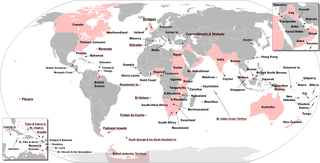 As of 2019, there are 55 sovereign states and 27 non-sovereign entities where English was an official language. Many country subdivisions have declared English an official language at the local or regional level. The Israeli population is linguistically and culturally diverse. Hebrew is the country's official language, and almost the entire population speaks it either as native speakers or proficiently as a second language. Its standard form, known as Modern Hebrew, is the main medium of life in Israel. Arabic, used mainly by Israel's Arab minority, which comprises about one-fifth of the population. Arabic has a special status under Israeli law. A bilingual sign is the representation on a panel of texts in more than one language. The use of bilingual signs is usually reserved for situations where there is legally administered bilingualism or where there is a relevant tourist or commercial interest. However, more informal uses of bilingual signs are often found on businesses in areas where there is a high degree of bilingualism, such as in areas where large concentrations of immigrants settle. The Constitution of Latvia is the fundamental law of the Republic of Latvia. Satversme is the oldest Eastern or Central European constitution still in force and the sixth oldest still-functioning republican basic law in the world. 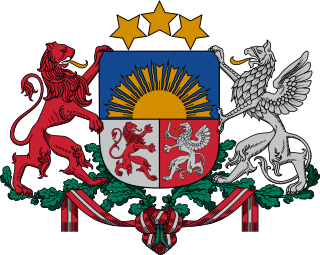 It was adopted, as it states itself in the text, by the people of Latvia, in their freely elected Constitutional Assembly of Latvia on 15 February 1922 and came into force on 7 November 1922. It was heavily influenced by Germany's Weimar Constitution and the Swiss Federal Constitution. The constitution establishes the main bodies of government ; it consists of 115 articles arranged in eight chapters. Arabic and its different dialects are spoken by around 422 million speakers in the Arab world as well as in the Arab diaspora making it one of the five most spoken languages in the world. Currently, 22 countries are member states of the Arab League which was founded in Cairo in 1945. Arabic is classified as a macrolanguage comprising 30 modern varieties, including its standard form. South Sudan is a multilingual country, with over 60 indigenous languages spoken. The official language of the country is English which was introduced in the region during the colonial era. A constitutional referendum on the "Amendments to the Constitution of the Republic of Latvia" was held on 18 February 2012. Proposed amendments included Articles 4, 18, 21, 101 and 104 of the Constitution of Latvia by adding the condition about Russian as the second official language, as well as prescribing two working languages — Latvian and Russian — for self-government institutions. The referendum's question was "Do you support the adoption of the Draft Law "Amendments to the Constitution of the Republic of Latvia" that provides for the Russian language the status of the second official language? ".